LILONGWE, Nov 9 2012 (IPS) - The latest proposals by the World Health Organization Framework Convention on Tobacco Control to stop farming of the crop could potentially affect about two million livelihoods in Malawi and decide the fate of an entire nation struggling with a sputtering economy. This is according to the chief executive officer of Malawi’s Tobacco Control Commission, Bruce Munthali. Tobacco is this southern African nation’s main foreign currency earner and accounts for more than 70 percent of exports and 15 percent of GDP. The industry employs an estimated two million of Malawi’s 13 million people. The proposals, expected to be tabled during the Fifth Session of the Conference of Parties to the WHO FCTC (CoP5) in South Korea, Nov. 12 to 17, may change those statistics forever if bank loans to growers are stopped, contracts between growers and buyers are halted and official bodies working with tobacco producers are dismantled. “If the proposals are adopted at the CoP5, this will mean the end of the source income for many in Malawi and the consequences would be far-reaching for our already fragile economy,” Munthali told IPS. The FCTC recommendations include reducing the land allocated to cultivating the crop and denying farmers the right to grow tobacco. The Convention also suggests regulating the seasons of the year in which tobacco farming is allowed. The suggestions have put Malawi at a crossroads. While the new administration of President Joyce Banda is trying to boost tobacco production to increase its foreign reserves this year, the proposals threaten to spoil the party. Munthali accused the FCTC of imposing its recommendations on poor countries like Malawi. “These proposals have not been fully discussed by most member countries and they have just been imposed on us. There should have been a process of consultation,” said Munthali. The domino effect of these proposals would not only affect farmers in Malawi, but tobacco growers globally. “If these measures go forward, the consequences will be devastating for millions of farmers and their families while the positive impact on public health will be negligible,” Antonio Abrunhosa, chief executive officer for the International Tobacco Growers Association (ITGA), told IPS. The association held the first ever World Tobacco Growers Day in Nigeria in October and used the occasion to galvanise its base of 30 million tobacco growers and appeal to various governments not to assent to the proposals. The FCTC was negotiated by the 192-member states of WHO to become the world’s first public health treaty after the final agreement was reached in May 2003. It also provides the basic tools for countries to enact comprehensive tobacco control legislation aimed at abolishing tobacco farming by 2025. Though Malawi is not yet party to the treaty, the framework has already left the country bleeding. One indication of how the global anti-tobacco lobby has affected Malawi is the slowdown in earnings. In the last three years, revenue from tobacco dropped from 416 million dollars in 2010 to 292 million dollars in 2011 and 177 million dollars this year. Malawi is also currently recovering from a decision by donors to freeze aid which accounted for almost 40 percent of the budget. “Growing tobacco has been our life for generations in my family. Though we have not become rich from this, we have managed to learn how to read and write and build homes that don’t leak,” Samson Phiri, a smallholder farmer, told IPS. The Banda administration said it was taking the proposals against tobacco as a major economic threat to the country. “We won’t take this lying down because this is Malawi’s strategic crop and it will remain so for some time to come,” Minister of Trade and Industry John Bande told IPS. The Tobacco Association of Malawi (TAMA), a body that represents the interests of growers, said they would fight on. He said there was a need for some policy changes within the tobacco industry, which the Ministry of Agriculture and Food Security needed to champion with a rational approach. As for the thousands of tobacco growers in the country like Phiri, their money is on the government and TAMA to win the battle for them. “Our prayer is that they defeat the proposals when they go to CoP5 so that we can continue growing the crop without any worries of losing the source of our livelihoods,” said Phiri. “Tobacco use led to almost six million deaths in 2011, according to new research released here on Monday, of which nearly 80 percent were in low- and middle-income countries. IPS did not do justice to this story as it clearly maintains only one side of the argument, which totally ignores the larger impact of tobacco use on the entire population’s health, standard of living and the right of Non-Smokers to clear air and environment. It might be a very good idea to take a closer look at the extremely poor standard of living of Tobacco Growers in contrast to the Tobacco Industry and see the irony of the entire tobacco trade in Africa. We have done that, and we continually find it alarming that governments and agencies in Africa ignore these facts. There is something deeply wrong about the WHO trying to stop people from following their legal livelihood by growing and selling tobacco. It’s right for the WHO to advocate against smoking of course but a bunch of well off people in conferences trying to destroy livelihoods of hundreds of thousands of poor people because of their views about smoking is another matter entirely. 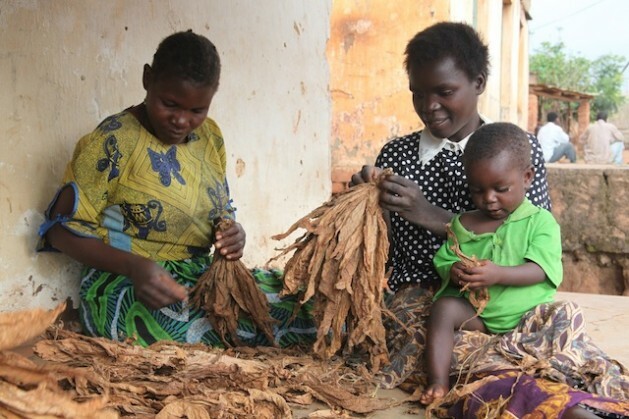 Tobacco is the main cash crop of Malawi and if it has to stop being grown it will force farmers to grow other crops that sell for far lower prices with a consequently serious increase in poverty and what goes with poverty. The WHO claims that is someone else’s problem…..